Indonesia’s industrial property sector has been subject to challenges as industrial investors have hesitated and delayed their entry or expansion due to greater uncertainty in the local and global economic climate. Under the Indonesian government’s infrastructure drive (See Concrete Developments in Indonesia’s Infrastructure), industrial land and industrial estates have been given renewed attention and given the sector a boost. Supply and demand are equally rising as the Indonesian government offers more incentives to facilitate industrial property developers and companies operating factories and warehouses in Indonesia’s industrial zones. After recording stagnant growth over the last decade, Indonesia’s industrial property sector is recovering following the Indonesian government’s efforts to attract industrial investors under President Joko Widodo. Since his 2014 presidential campaign, the President has made it clear that the emphasis of his administration will be on enhancing Indonesia’s infrastructure and industrial development (See High Stakes for Indonesia's New Infrastructure Push), whereby the industrial property sector will play a significant role in clustering such developments. Based on data from the Indonesian Ministry of Trade in 2013, Indonesia has 74 industrial estates with a total area of 30,000 hectares of which 55 of them are located in Java (22,795.90 hectares), 16 in Sumatra (4,493.45 hectares), 1 in Kalimantan (546 hectares), and 2 in Sulawesi (2,203 hectares). West Java province has the largest number of industrial areas and accounts for nearly 74% of the country’s industrial property due to its proximity to the special capital region of Jakarta and Tanjung Priok port. More than 50% of the industrial contribution to the national economy comes from the province; illustrating its strategic importance yet also the imbalance that creates bottlenecks in Indonesia’s logistics sector. Most of Indonesia’s industrial land areas or 94% are owned by the private sector. The Indonesian government, through state-owned enterprises, owns 6%. This is in stark contrast with other Asian countries. In Japan, for example, the government owns 85% of the total area of industrial land, Taiwan has 90%, Singapore 85%, Malaysia 78%, South Korea 70%, and Thailand has 53% under state ownership. Going forward, the Indonesian government will develop new industrial zones away from the Greater Jakarta area (Jakarta, Bogor, Tangerang and Bekasi) and West Java to try to ensure an even distribution of wealth and development across the country. Based on the Master Plan of the National Industrial Development 2015 — 2035, the Indonesian government has set a target to develop 36 new industrial estates with a total area of 50,000 hectares. To date, the Indonesian Ministry of Industry has facilitated the development of 14 industrial land area projects outside of Java which have been made a national priority. Unfortunately, only three industrial estates in Morowali, Bitung and Sei Mangke have been developed so far. Other industrial land areas, particularly in Maluku and Papua, still face a number of obstacles ranging from land acquisition, lack of infrastructure and quality human resources, high logistics cost (See Indonesia’s Logistics Sector; Making Connections) to expensive gas prices (See Overview: Indonesia’s Downstream Oil and Gas Sector). Furthermore, the decline in Indonesian state revenue which has led to budget and spending cuts, has made it difficult for the Indonesian government to develop the infrastructure needed to support new and existing industrial areas such as roads, airports, sea ports, railways, power plants and water supply that is estimated to reach 55.45 trillion IDR. Given the slow progress in the development of some of the priority industrial areas, the Indonesian government is considering expanding the list by adding new industrial estates that have demonstrated rapid progress. Among these include Dumai (Riau), Tanjung Buton (Riau), Berau (East Kalimantan), Tanah Kuning (North Kalimantan), JIIPE (East Java), Kendal (Central Java) and Wilmar (Serang) industrial areas. Besides the central government, Indonesian state-owned enterprises and the private sector have also invested heavily in the development of new industrial areas; both in and outside of Java in the past year. Some of these areas have received the KLIK (Direct Construction Investment Facility) incentive from the government. These include four areas in Central Java, namely the Kendal, Bukit Semarang, Tugu Wijaya Kusuma, and Candi industrial areas, one area in East Java namely Java Integrated Industrial and Port Estate in Gresik, one in Bantaeng, South Sulawesi, and three areas in Banten, namely Wilmar, ModernCikande, and Krakatau industrial estates with a total area of 10,941 hectares. Moreover, a number of neighbouring countries are also interested in developing industrial zones in Indonesia through a G-to-G partnership. Singapore, for example, partnered with the government to develop ‘Park by the Bay’ industrial area in Kendal, Central Java. Meanwhile, Australia through the Australia Indonesia Business Council (AIBC) has signed a memorandum of understanding on investment partnership opportunities in industrial property development with Banten Global Development (BGD), a regional-owned enterprise under the authority of Banten Province. Despite slowing demand in the Greater Jakarta area, the overall demand for industrial property in Indonesia in 2016 is rising. The Indonesian Industrial Estates Association (HKI) forecasts that only 250 hectares out of 800 hectares of matured land in Greater Jakarta area will be sold by the end of 2016. Rather, the demand for industrial property in Banten, Central Java, East Java, and outside Java is on the rise. Thus, there has been a shift of demand from the areas of Greater Jakarta and West Java to new industrial centres which offer cheaper land prices and lower labour costs (See Labour Pains in Indonesia). Kawasan Industri Jababeka (KIJA), for example, recorded a revenue of 3.28 trillion IDR from 16 investors who purchased a total of 203,595 square metres of its land in the Kendal industrial area. A further example is Berkah Kawasan Manyar Sejahtera which has signed sales and purchase agreements worth 3.05 trillion IDR and 26.84 billion JP¥ for its land in JIIPE, Gresik. One of the major challenges facing the Indonesian industrial property sector is soaring land prices. The country’s industrial land price is more expensive and increases at a higher rate compared to industrial land prices in other ASEAN countries. The average land price in Jakarta and its surrounding areas is $191 USD per square metre. This is higher than land prices in Bangkok, Thailand and Vietnam of $144 USD and $45 - $150 USD, respectively. In addition, the increase in the rate of price appreciation of industrial land in Indonesia is also well above its neighbours, reaching 30% per year as opposed to 21% and 14% in Thailand and Vietnam respectively. The main reason behind soaring industrial land prices in Indonesia is because the majority of suitable industrial land sites are owned by the private sector which can unilaterally set their prices to keep pace with supply and demand. Thus, it is difficult for the Indonesian government to control market forces governing land prices and the implementation of laws governing the acquisition of land in the public interest remains weak. Another problem that hampers the development of industrial areas in Indonesia is the Regulation of the Minister of Agrarian Affairs/Head of BPN No. 2/1999 on location permits which restricts the ownership of industrial areas by a group of companies to 400 hectares in one province and 4,000 hectares throughout Indonesia. This makes it difficult for industrial property developers to expand their industrial estates because they have to obtain a letter of recommendation from the Ministry of Agrarian Affairs and Spatial Planning. Last but not least, Indonesia’s industrial property sector relies heavily on investors, especially foreign investors (See Indonesia’s Law on Foreign Ownership of Property: What are the Changes?). These investors consider many aspects before deciding to build a factory or warehouse in an industrial area. Most of these aspects are beyond the control of industrial area developers; for example, the availability of supporting infrastructure, such as toll roads and railways, government incentives in the form of tax holidays or tax allowances, among others. Such conditions need to be attractive within the highly competitive landscape of industrial property investments. Indonesia’s major competitor in the industrial property sector in ASEAN is Vietnam. The country has aggresively developed its industrial areas in the last few years which now has reached 304 industrial estates. During January-September 2015, Indonesia attracted foreign direct investment of $15.48 billion USD or 26% of total FDI inflow into ASEAN during the period. Vietnam is closing in with $11.61 billion USD or 19%. Vietnam is considered to be offering more attractive incentives to investors within its industrial areas such as a concession term of 100 years as opposed to 30 years in Indonesia. The Jokowi administration has made Indonesia’s industrial property sector development a priority programme. Indonesia’s industrial property market contributes 40% to total non-oil and gas exports and attracts 60% of total investment in the industry sector. Moreover, the sector could generate a significant multiplier effect on local economies, which in turn will drive Indonesia’s national economic growth such as attracting foreign investment, creating new jobs, and boosting economic activities in the surrounding areas. 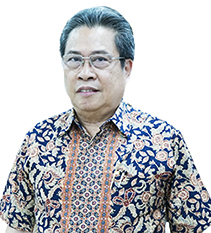 To speed up the development of industrial areas in Indonesia, the government has offered various incentives both for industrial property developers and companies operating factories and warehouses in the industrial zones. These incentives include the KLIK programme which was part of the second economic policy package (See Twice as Nice? – Indonesia Unveils Second Economic Policy Package) launched by the Indonesian government in September 2015; additional benefits include tax holiday of three years for capital goods imports (See Indonesia Introduces New Tax Incentives for Pioneer Industries), and discounted gas price for a variety of industries including fertiliser, petrochemicals, and steel, and many others. Under the KLIK programme, which was previously only available to investors who invested at least 100 billion IDR or employ 1,000 workers, investors are able to begin construction after applying for a principle permit through an integrated one-stop-shop service system (PTSP), thus accelerating the time lag between investment commitment to actual investment. According to the Indonesia Investment Coordinating Board (BKPM), there are 14 industrial areas which have implemented KLIK. Of course, implementation remains an issue with the one-stop-shop programme as a variation in adherence to the process differs from province to province. Furthermore, to resolve various issues in the sector, particularly the land acquisition problem (See Indonesia’s Land Acquisition Laws; On Paper Only? ), the Indonesian government has established a special task force under the Coordinating Minister for Economic Affairs. Meanwhile, the Minister of National Development Planning has proposed to broaden the definition of ‘public interest’ in the Law No. 2/2012 on Land Acquisition for Development in the Public Interest to include industrial land areas, while the Minister of Agrarian Affairs and Spatial Planning proposed to include industrial property development into the list of strategic projects in Presidential Regulation No. 3/2016 on national strategic projects to facilitate land acquisition. The prospect of Indonesia's industrial property sector is still bright amid the economic slowdown. Going forward, the growth of this sector will be driven by new industrial centres outside the Greater Jakarta area such as Serang, Kendal, Gresik, and outside Java. In addition, Subang in West Java is also expected to become a growth driver once the government completes the construction of the Patimban Port. Many forecast that the sector will enjoy a significant growth in 2017 - 2018 as President Jokowi’s economic policy packages launched in 2015 – 2016 begin to take effect. Indonesia’s economic slowdown in 2013 has not been without impact on the market for industrial real estate. As a result, the manufacturing sector lost some of the buoyancy it had displayed, which in turn softened demand for factories and warehouses and the land they stand on. A recent trend in increasing demand for industrial land is testament to Indonesia’s attractiveness as a manufacturing and export base. This section looks at the industrial estates and facilities that the country has to offer to investors looking to tap into Indonesia as a regional production hub.